Shanahan and Healy address the issue of oral cancer awareness. They surveyed 221 NCHDs. 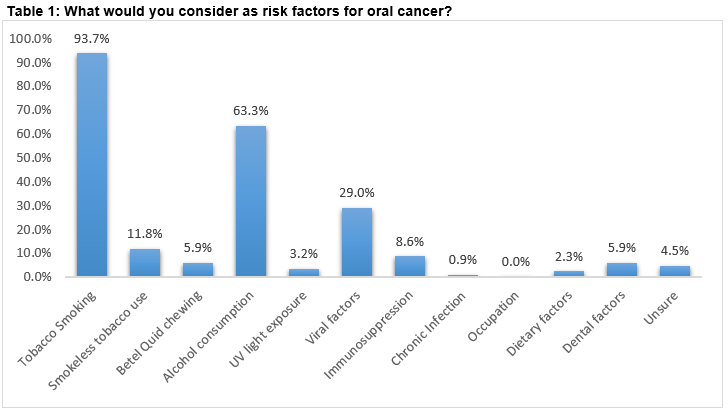 60% were uncertain, and 21% very unsure of oral cancer diagnosis. 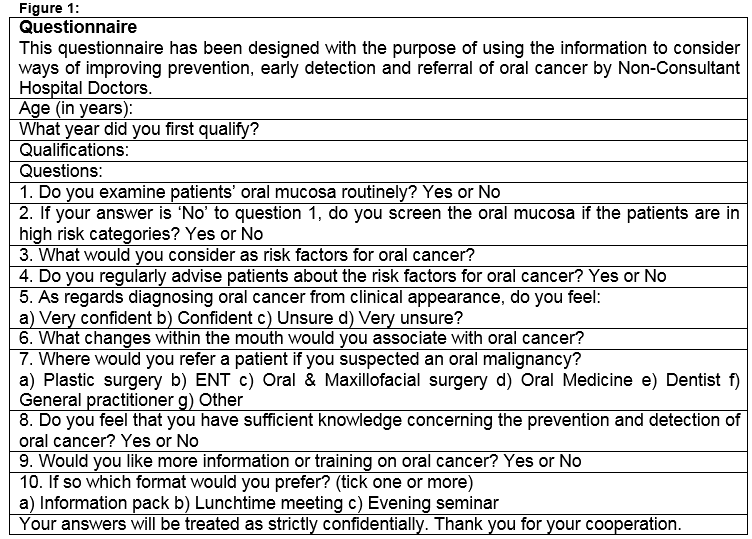 80% do not routinely examine the oral mucosa. More education is required at both undergraduate and postgraduate levels. Cross-sectional Analysis of the Standards of Consent Applied to Anaesthesia in Ireland: Are Anaesthetists Aware of their Legal and Ethical Obligations? 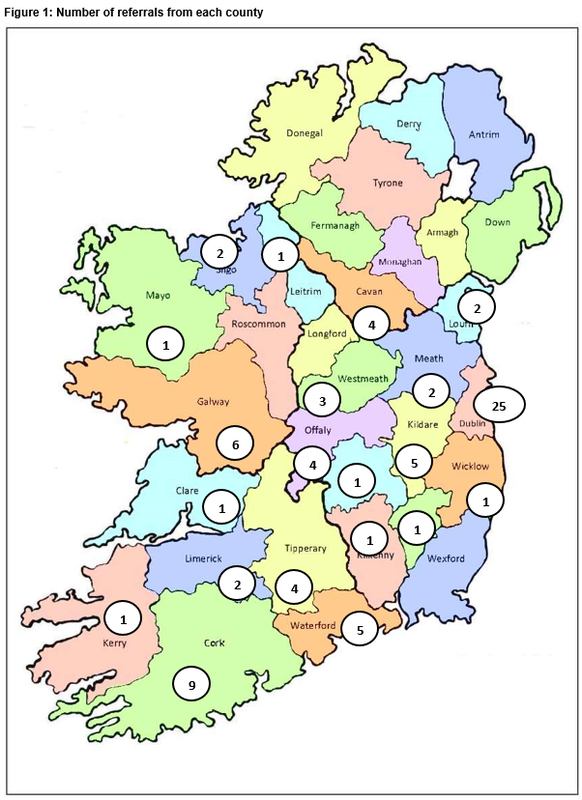 Cafferkey and Lyons report on the responses of 160 anaesthetists. 63.8% do not usually document consent. 21.8% rarely and 27.8% never explain the risks to patients. The findings suggest wide variation in the practice of obtaining consent for anaesthesia. Hynes J1, Redmond CE1, Healy GM1, Cronin, J2, Heffernan, EJ1. Hynes et al report that over a 10-year period, overnight CT scan imaging increased. The increase was from 0.4 to 1.2 studies per night. 64% of the scans were normal. Peripherally Inserted Central Catheters (PICCs) and Potential Cost Savings and Shortened Bed Stays In an Acute Hospital Setting. O’Brien et al describe 2404 referrals for PICC line insertion 2009-15. During the study period the annual number of PICC insertions increased from 255 to 508 annually. 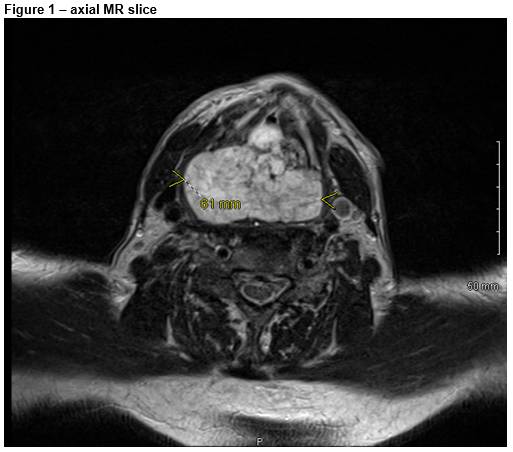 Berney et al describe 81 children with sagittal synostosis. 74% were referred before 6 months, and 26% were late referrals. Late referral led to a more complex referral pathway. Johnson et al examined the relationship between age over 65 years and indicators of clinical complexity in acute hospitals. Over the period 2005-2014 the number and rate of hospital admissions increased especially for those over 85 years. A Descriptive Study Of The Burden Of Animal-Related Trauma At Cork University Hospital. Sheehan and Deasy report that 54 patients were admitted to CUH with major farm animal related trauma over a 5 year period. Most were orthopaedic injuries, fractures of the tibia and fibula being the commonest. 59% of cases required surgery, and 16.7% were admitted to the intensive care unit. 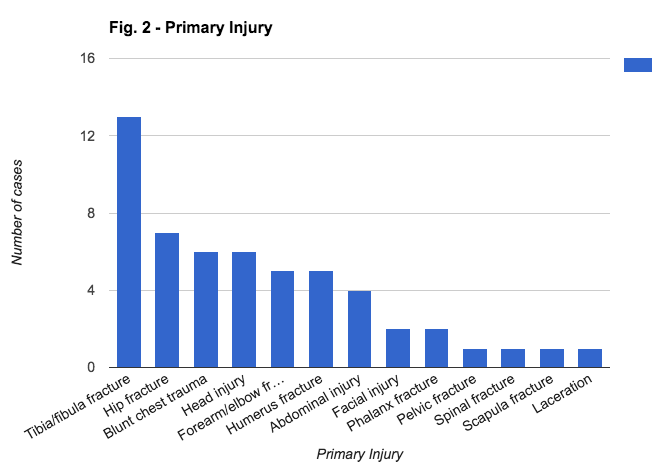 O’Connor et al studied 243 patients at risk of bone fragility. 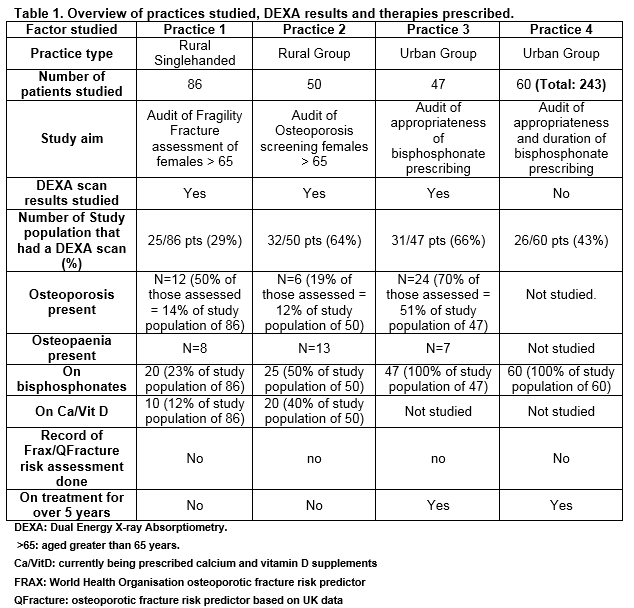 Using DEXA scan examinations, 17% had osteoporosis, 11 had osteopaenia. 63% were currently being prescribed bisphosphonates. 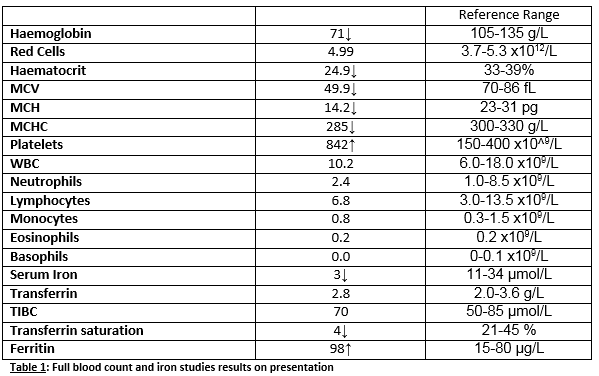 21% did not have a baseline scan before commencing bisphosphonate therapy. 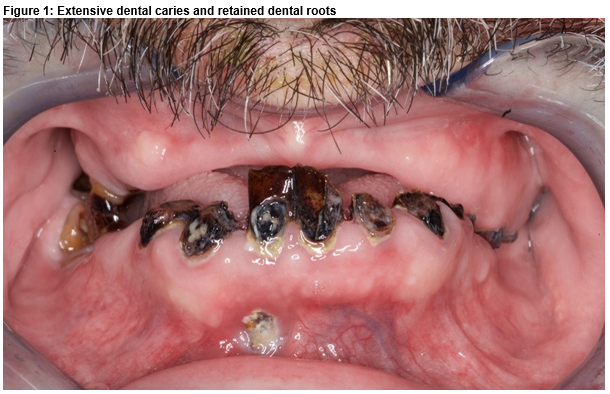 Waqas et al describe a 51 year old man who presented with right thigh swelling, left sided empyema, and poor dentition. Following investigations the unifying diagnosis was dental disease complicated by Fusobacterium Nucleatum. 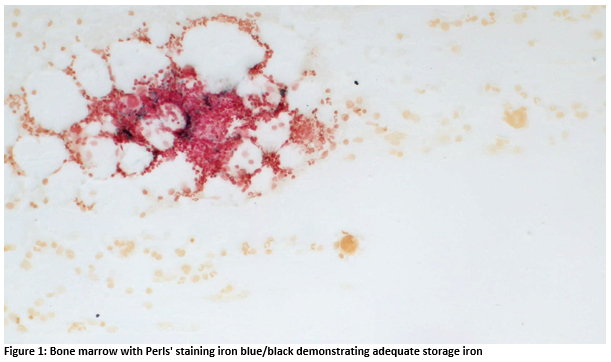 The patient made a complete recovery following an 8- week course of antibiotics. Laryngeal Chondrosarcoma: A rare cause of critical upper airway obstruction. Tuite et al describe the case of an 82 year old male with dyspnea and dysphonia. 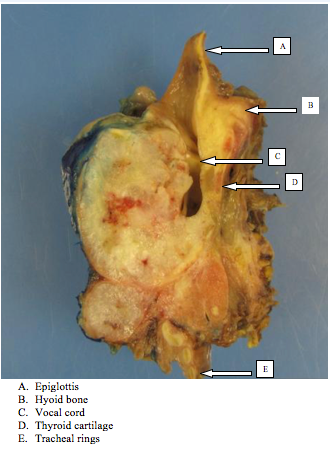 Endoscopy revealed a large submucosal mass at the laryngeal inlet. 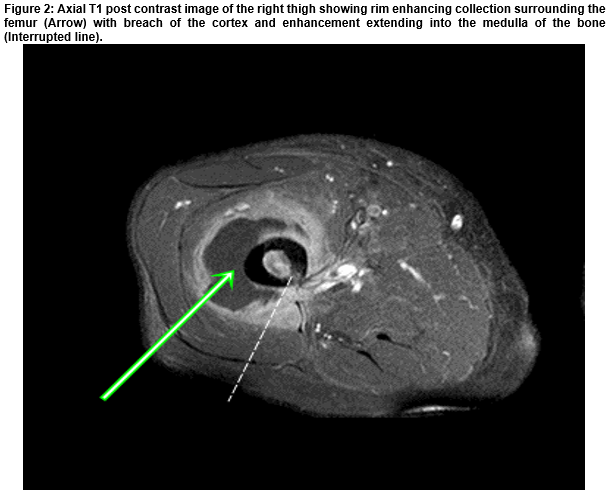 A subsequent CT scan and histology confirmed a chondrosarcoma. A total laryngectomy was performed. O’Sullivan et al describe a 37 year old female with gastrointestinal symptoms. 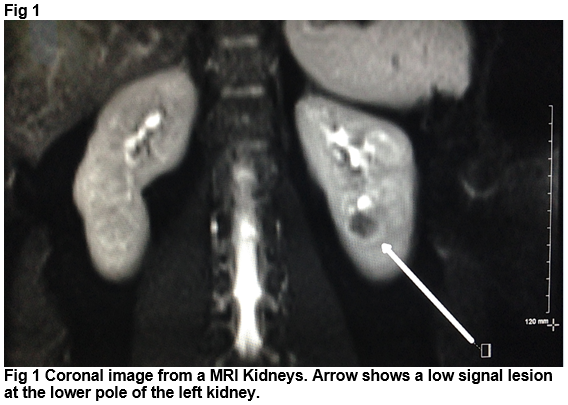 Abdominal CT scan showed a lesion in the lower pole of the left kidney. The biopsy confirmed a well differentiated neuroendocrine tumour. A nephrectomy was performed. Kernan et al report that in their patient cohort of 320 children with diabetes only 2% (7/320) had type 2 diabetes. The 7 children with type 2 diabetes were overweight, hypertensive, and mainly non-caucasian. The affected children required insulin therapy. A Sleiwah, M McBride, S Dustagheer.